There is a nationwide call to cut trans fats from your daily diet. Trans fat raises LDL (lipoprotein, or "bad cholesterol") levels in your body. By lowering your trans fat intake, you decrease the chance of coronary heart disease--the leading cause of death in the United States. Now you can ensure your family's health by preparing trans fat-free meals at home. This informative cookbook will arm you with the facts on trans fats and give you the knowledge you need to read nutrition labels and shop for healthy ingredients. 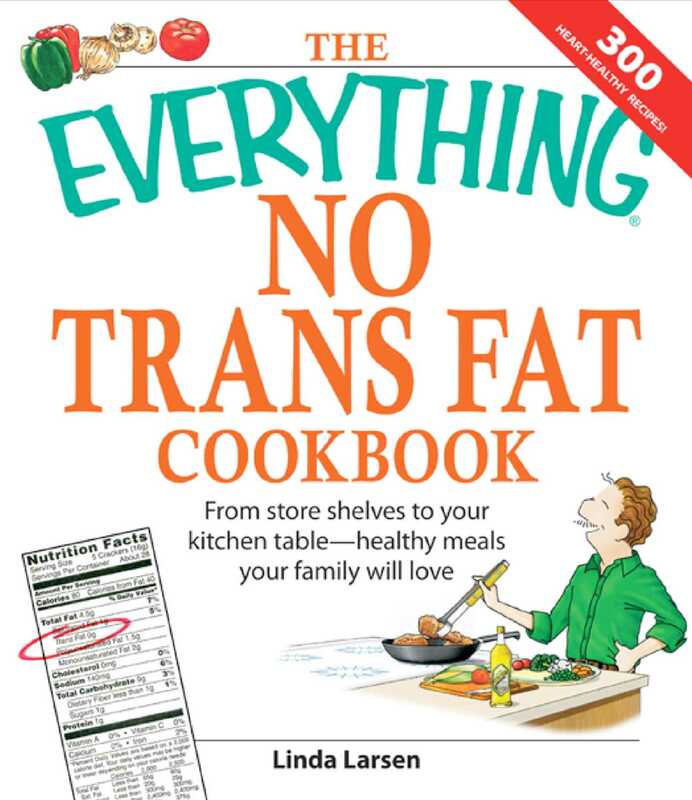 The Everything No Trans Fat Cookbook will help you and your loved ones eat healthier--without sacrificing flavor!